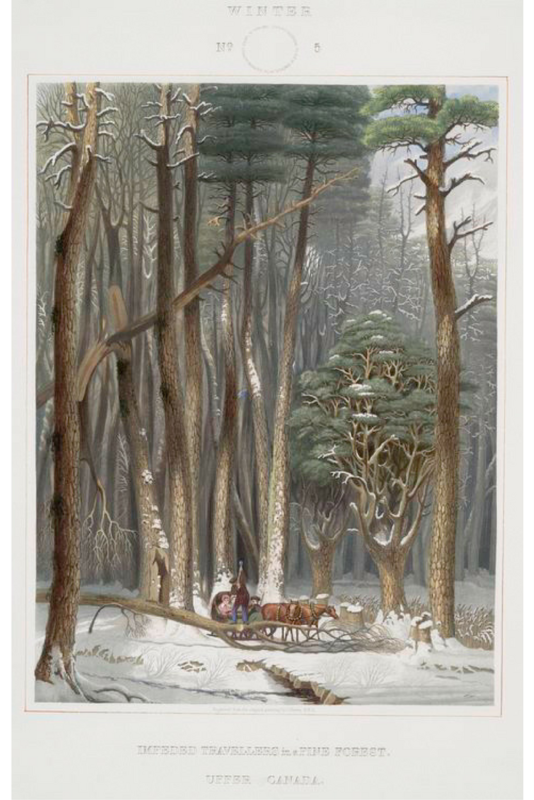 These four seasons vintage illustrations depict tall trees from various places in North America, including my home state of Ohio. There have been a lot of fall printables showing up in my Pinterest feed lately and I thought about creating some fall themed printables for you, but then a search of public domain vintage illustrations led me to share something a little different with you. 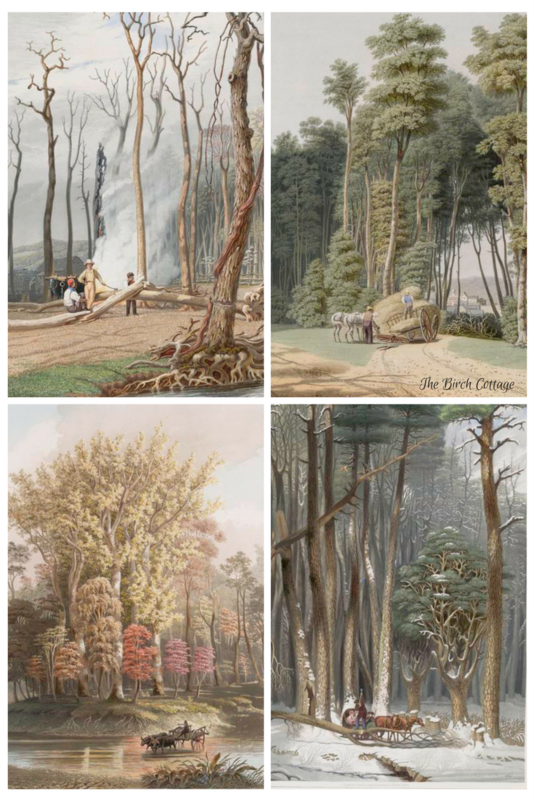 These illustrations are from the 1800’s and two of them depict locations right here in Ohio. 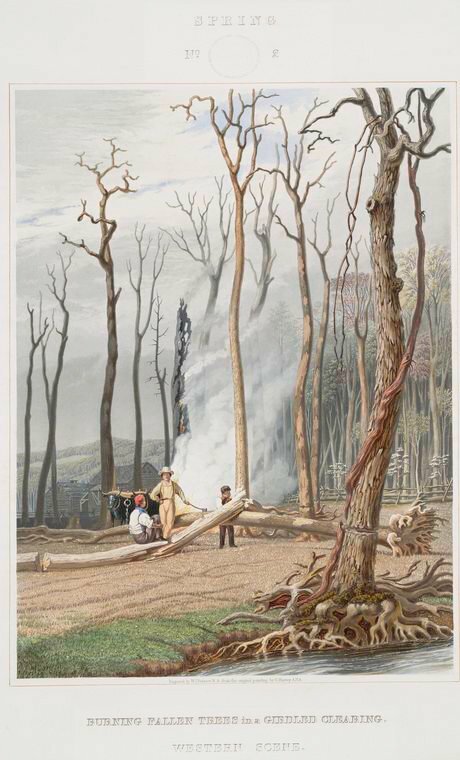 This summer vintage illustration depicts a “road accident” in Thornville, Ohio. 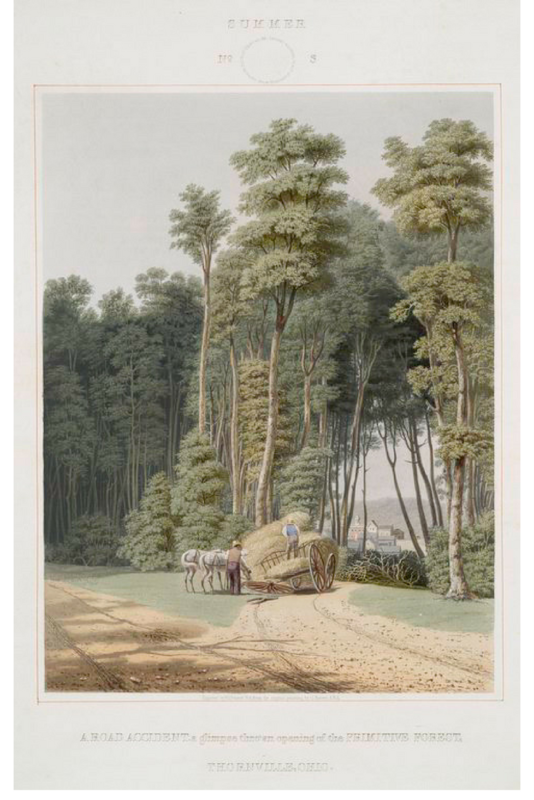 This vintage illustration depicts “Impeded travelers in a fine forest in Upper Canada.” I’m sure there are woods in Upper Canada very similar to this. Each time my family travels to Northern Ontario, I often wonder what life must have been like for the explorers and early settlers. Can you imagine?! 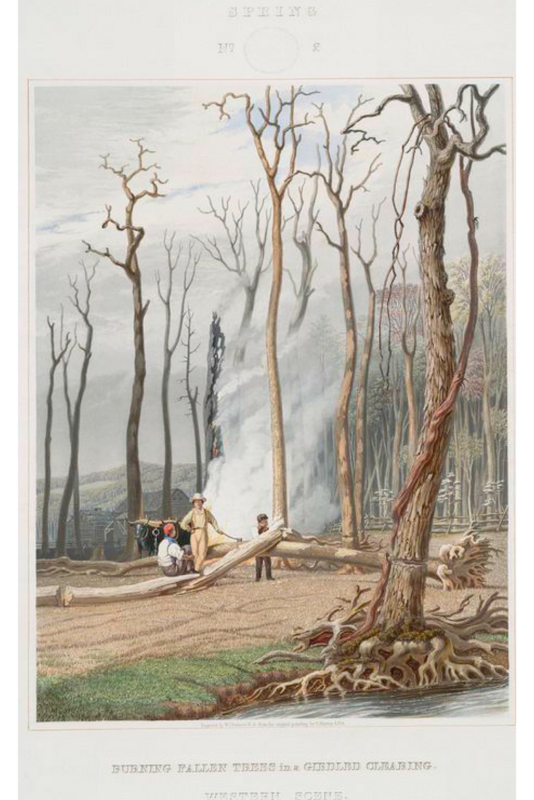 The Spring print depicts life in early spring, where farmers and early settlers are finally able to take care of all the extra chores winter left behind. It’s also a sign of new beginnings. The grasses are beginning to grow, leaves and buds are starting to show and the animals are restless and eager to begin their jobs. 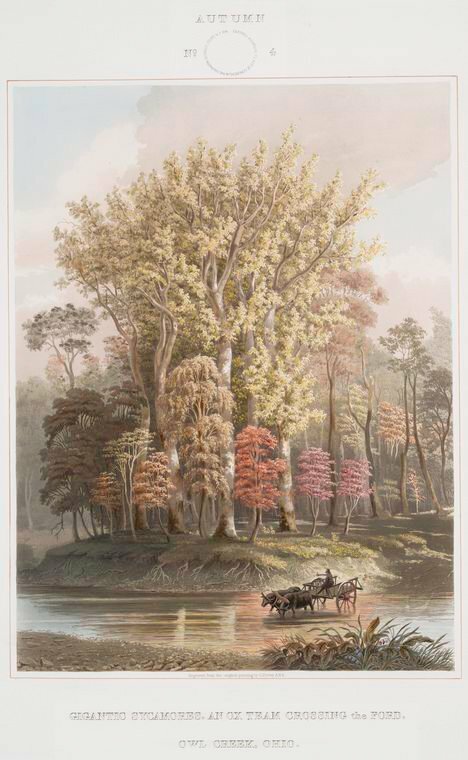 I love this Autumn print featuring “gigantic sycamores”. 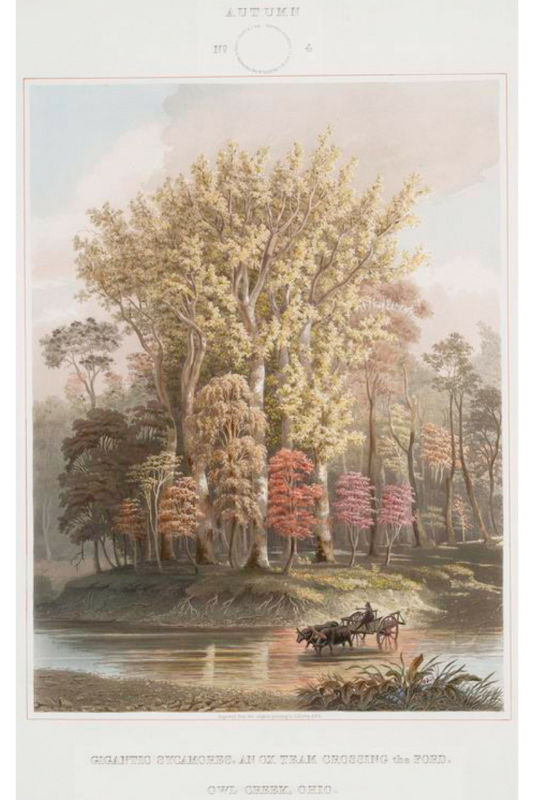 This illustration of Owl Creek is from right here in Ohio. I believe it’s an area we often refer to as “Amish country”. In any case, the fall leaves, the tree roots exposed on the creek bank and the muted colors with a cast of cloudy haze is just amazing artwork. 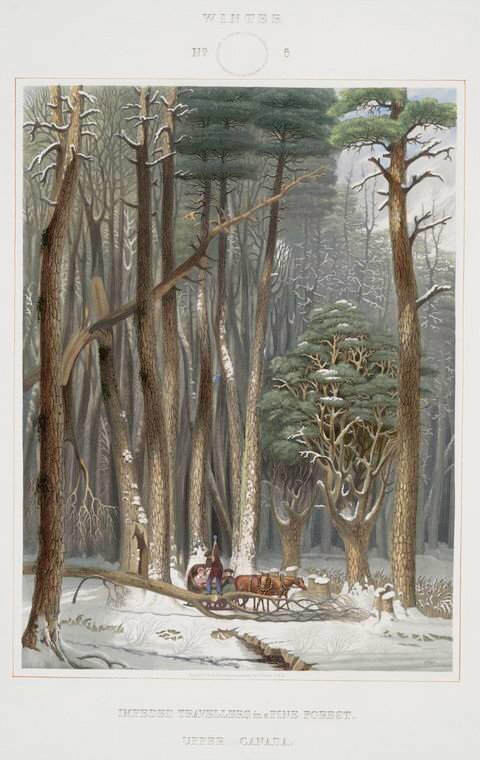 These vintage illustrations that depict the four seasons are just beautiful! I think they’d be perfect hung together in a gallery or individually. 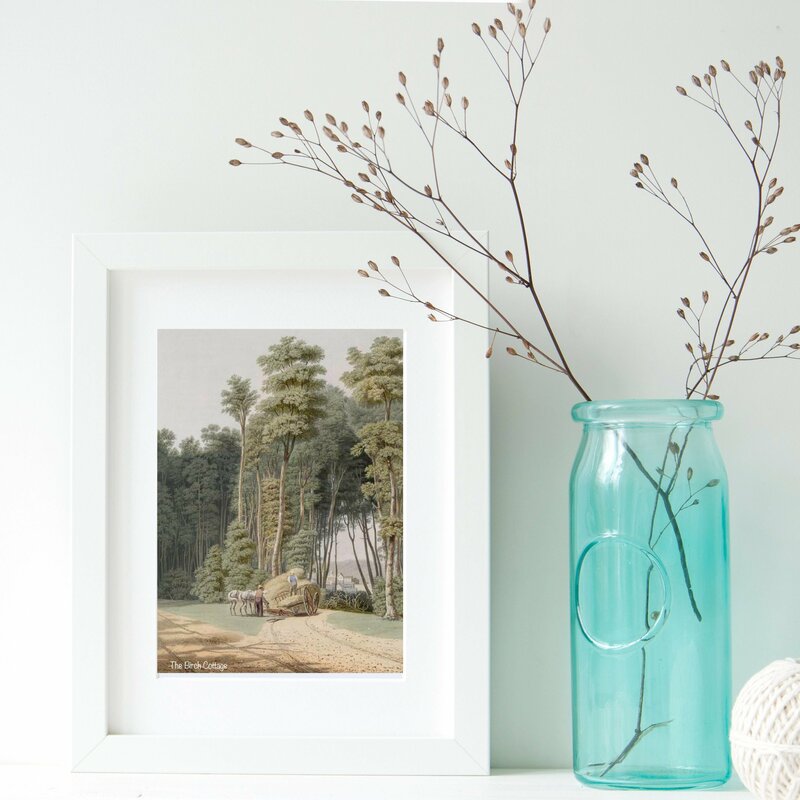 You could even change out the picture each season, if you like to switch things up in your home decor. 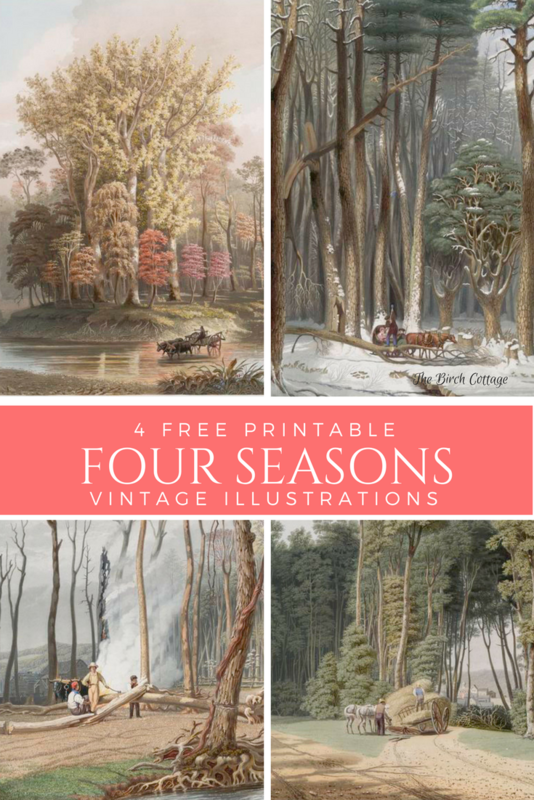 The Four Seasons Vintage Illustrations are available for free to subscribers of The Birch Cottage newsletter. 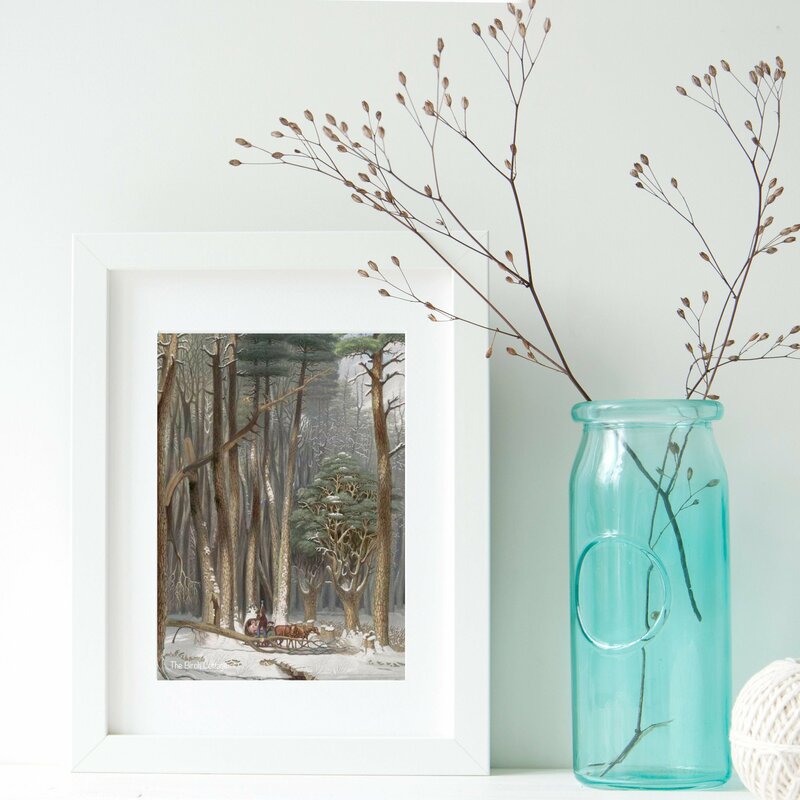 Simply sign up below and you’ll receive an email verifying your subscription, along with a link to the Subscribers Resource Library where you’ll have access to these printable vintage illustrations and a whole lot more! 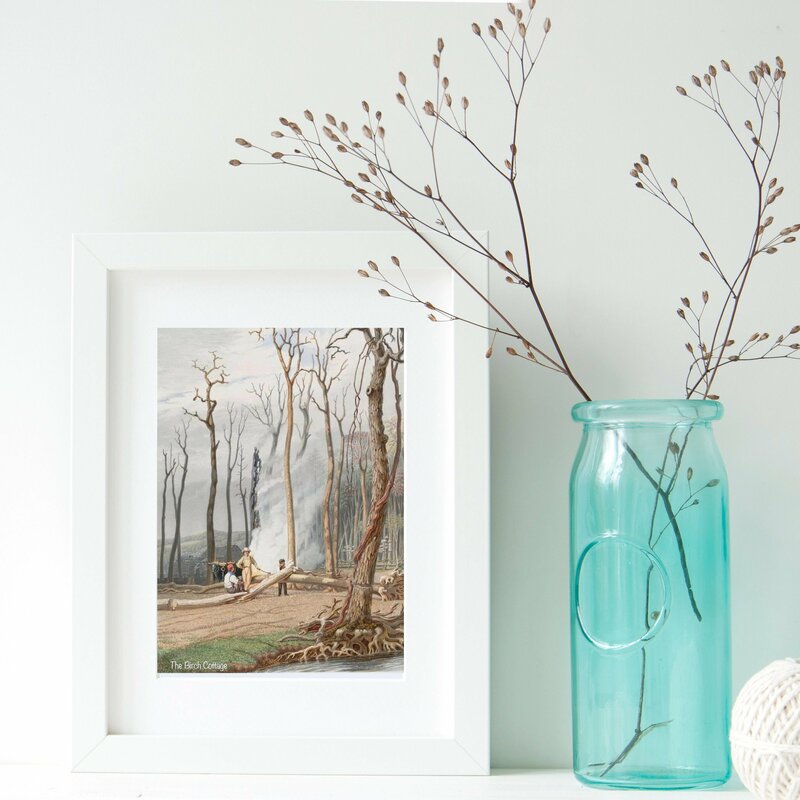 Once you download the illustration, you can print and trim to frame in an 8×10 frame or resize to your liking! 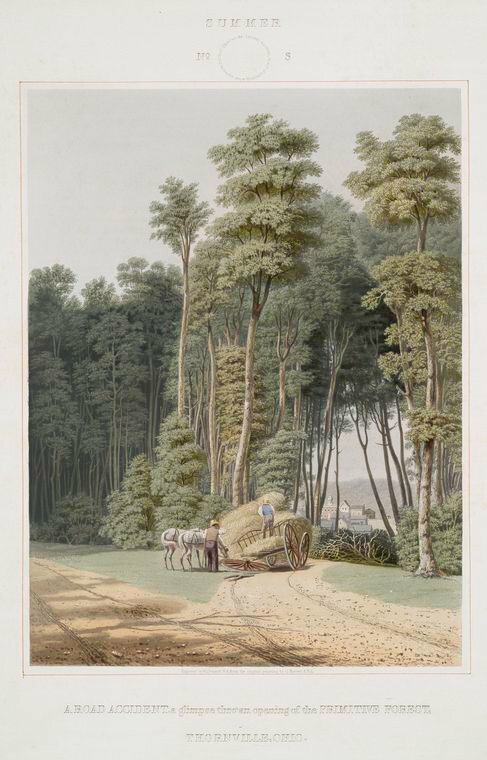 I hope you will find a nice home for these vintage illustrations. I kind of like the idea of printing all four of them and then changing the print based on the changing of the seasons. Just a little subtle way to change up your decor, celebrate the seasons and still keep everything exactly the way you like it! 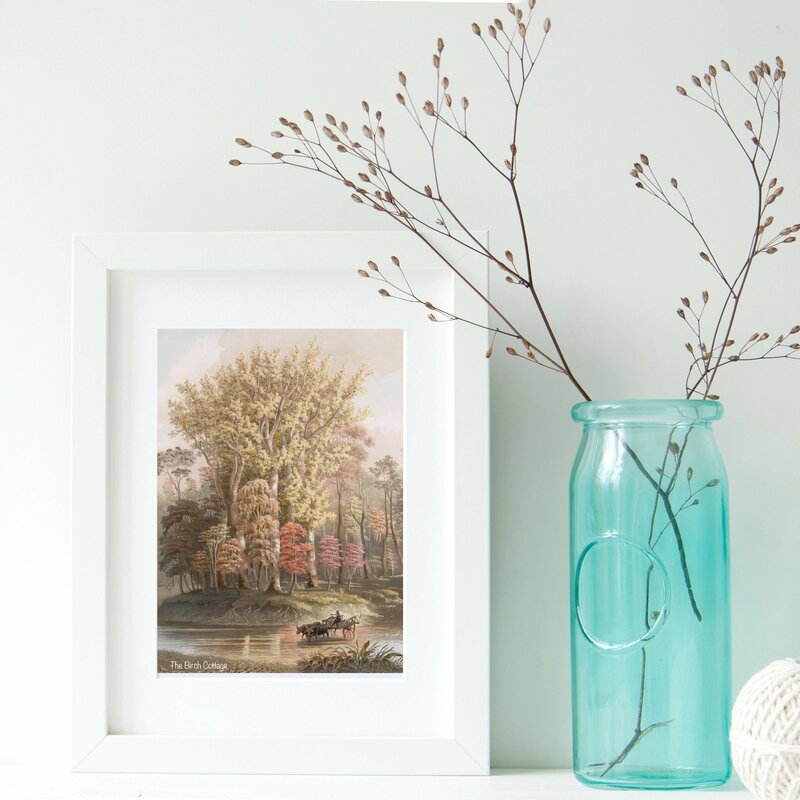 If you do use these prints in your home decor, I’d love to see pictures and hear all about it! Pumpkin Bread Recipe for the Bread Machine and a Free Recipe Card!